“Your grandfather is amazing!” Remi Douin shouts into my ear, straining to make himself heard over the two-man band that’s belting out a ’60s pop song a few feet away from the dance floor where we’ve been twisting and twirling for the last half hour or so. Douin is a captain on the Emerald Liberté, the cruise ship that has, for a week, been carrying me and 80-some other passengers north along France’s Rhône river from Arles to Lyon. And he’s referring to John Peters, who isn’t, in fact, my grandpa, but rather an 87-year-old, British fellow passenger and, on this occasion, my unlikely dance partner. But I’m having too much fun to offer up a correction. Instead, I breathlessly thank Douin and then beeline to the ship’s bar for a fresh glass of French chardonnay. As I wait for my order, I contemplate which event surprises me more—that, despite my lifelong aversion to dance floors, I find myself here on this one, shaking everything from my hips to my hair with abandon, or that I’m having so much fun shimmying alongside a new octogenarian friend with a fragile knee. But then again, everything about this trip has been a surprise. Much like dancing, I’ve long avoided cruises. Blame it on claustrophobia or my dislike of crowds, or the reputation cruises sometimes have for being slow-paced snoozefests (river cruises like this one) or, worse, floating frat parties (mega-ships island-hopping in the Caribbean). 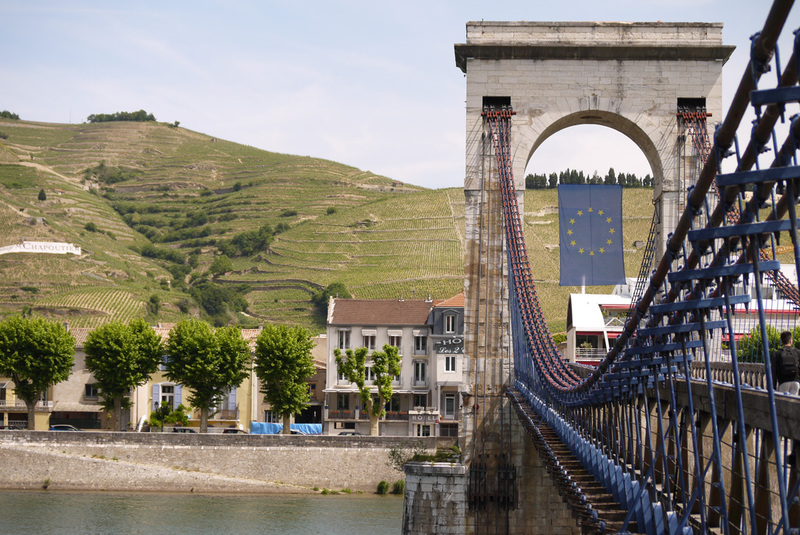 But when I got wind that the Australian cruise company Emerald Waterways was offering a week of sailing along the Rhône, passing through some of Southern France’s most storied and stunning medieval towns and villages, I decided to give cruising a go. It was a part of Europe I’d never seen, and a river cruise would offer just enough structure, plus plenty of planning tools. And with space for just 138 guests aboard the new ship, I knew I wouldn’t feel overwhelmed. I boarded the boat on a warm, clear evening in Arles and immediately noticed that one river cruise stereotype my friends had teased me about was most definitely true: At 36, I was easily among the youngest travelers. “Oh well. I’m not here to make friends,” I thought, eyeballing my fellow passengers, who seemed to range in age from 40-something to 90-plus. But over the course of the week that followed, making friends was exactly what happened. 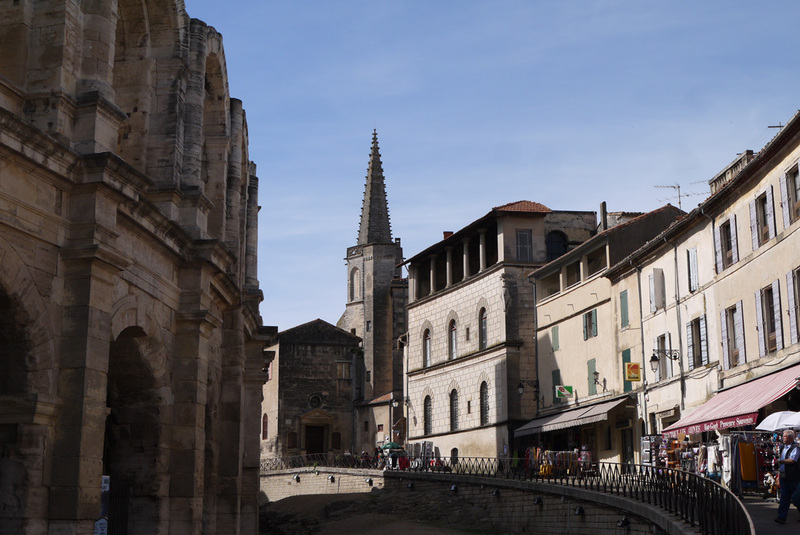 We spent the next seven days sailing north from Arles, with its imposing Roman amphitheater and maze of narrow streets, to Avignon, regal and buzzing under a blanket of gray skies, to Tournon, with its lively riverfront park and charming streets watched over by a 16th-century castle. On an afternoon in Tournon, I signed up for an optional wine tasting inside the castle. All of the chairs around the U-shaped table filled up, except for a lone empty seat to my right. Minutes passed before the castle’s huge wooden door opened, and Peters shuffled in, only slightly delayed by Tournon’s hilly streets that are wicked even for those of us who don’t move with the aid of a cane. With the class roster complete, we spent the next hour tasting red and white wines, scribbling notes as we sipped. As the wine kicked in, Peters playfully lamented the small size of the pours, and we giggled under our breath. In a more candid moment, he shared with me that this was his 33rd cruise, a rather extravagant hobby he picked up after his beloved wife’s passing some 10 years before. “She never liked boats,” said Peters. 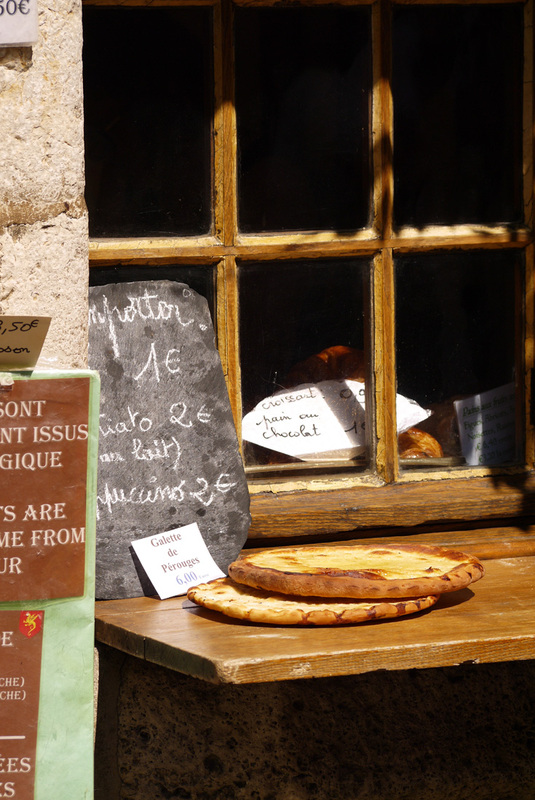 Form Tournon, we sailed farther north still, to Macon, Chalon and Beaune, greedily gobbling up every morsel of history, scenery, food, wine and even perfect weather that the country sent our way. Back on the Emerald Liberté, I started to look for my friend John, checking in before meals to ask about his day’s adventures and whether he’d tried the dry rosé that had already become my beverage of choice on board. (“I haven’t,” he told me on one occasion, “because I quite like the beer.”) And so that pattern—exploring during the daytime; dining, drinking and playing games in the evening; and sailing upriver overnight—persisted, with passengers sharing adventures and discoveries from each stop. On our final evening, in Lyon, I stood at the ship’s bar, breathless from a mixture of laughing and dancing, waiting for that French chardonnay. I realized that what surprised me most about my week on the Rhône was that the best discoveries to be made were not necessarily on land, but perhaps right there on board.